City University London engineering academics, Professor David Stupples, Dr Ivan Sikora and Mr Cengiz Turkoglu contribute expert commentary to global media coverage of the ill-fated Boeing 777-200 passenger aircraft. City University London academics have contributed expert commentary to various international news media outlets surrounding the ill-fated Malaysian Airlines MH370 Boeing 777-200 aircraft carrying 239 passengers, which departed from Kuala Lumpur on the 8th March bound for Beijing, China. Based on the most recent analysis of radar data, recovery efforts are presently underway in the Indian Ocean where the aircraft is believed to have descended. Professor David Stupples, who has extensive experience in the research and design of communications and radar systems (including synthetic aperture radar systems) was interviewed by various news media outlets regarding the communications systems on board the Malaysian Airlines aircraft and about new satellite tracking techniques employed by UK telecommunications firm Inmarsat. 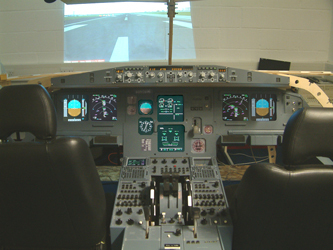 Television interviews with CNN International, ITV Daybreak and RTL Germany were staged using the flight simulator within the aeronautics labs of the Department of Engineering. The RTL Germany interview also featured Senior Lecturers in Air Safety Management and Aeronautical Engineering, Dr Ivan Sikora and Mr Cengiz Turkoglu. Professor Stupples has also been featured in several interviews with Sky TV, BBC (radio, television and online) and the Chinese Xinhua News Agency. Expert technical commentary from Mr Turkoglu was also carried in the New York Times.